Time for a look at some of the very best tracks of the last month or so in this new monthly round-up curated by DJ and writer Ben P Scott. This edition features new music from Manic Street Preachers, Gorillaz, Orbital, Eels, Suede, Goat, Johnny Marr, Underworld and Iggy Pop, James, The Living End, Tim Burgess, Slaves, The Blinders, Ash and Danny Goffey. You can read a bit about each individual track and listen to each one below, or alternatively, you can launch this YouTube playlist, compiled for your listening pleasure. Let’s begin with one of the many highlights of the recent ‘Resistance Is Futile’ album from the incredible Manic Street Preachers. This poignant arms-in-the-air anthem is the latest track to be given a video, and to be frank, when they’ve just put out such a reaffirming classic of a record, every song from it could be a single. Electronic legends Orbital return with this excellent new track, taken from the forthcoming album ‘Monsters Exist’, out in September. Having heard some live versions of the other new material, it’s a record I look forward to. Then there’s the new Gorillaz album ‘The Now Now’, the most focused and less crowded Gorillaz record to date. And also the best. With less reliance on guest vocalists, Damon Albarn (in his virtual role as 2D) uses this as another opportunity to demonstrate his utterly masterful songwriting skills and ability to evolve constantly. From it here is the irresistible cowbell-topped instrumental ‘Lake Zurich’. It’s a fine slice of late night summer funk with sizzling hot synth sounds and echoes of Grandmaster Flash. All these years later, James is still making great music. This is a brooding, dramatic track from their new EP ‘Better Than That’, which is available now on vinyl and download. A new album ‘Living In Extraordinary Times’ arrives in September. Downbeat yet beautiful, this magnificent track is my personal highlight of ‘The Deconstruction’, the latest album from the Eels, and the best thing Mark ‘E’ Everett has done in years. 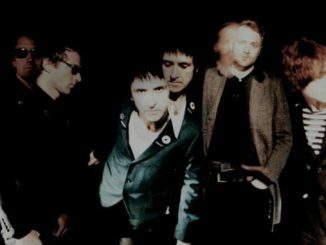 The Charlatans have followed last year’s excellent ‘Different Days’ album with a recent EP entitled ‘Totally Eclipsing’. Today, however, we will instead be focusing on a track that you may have missed, taken from frontman Tim Burgess’s latest solo record ‘As I Was Now’. The album was released a couple of months ago on Record Store Day, but was actually recorded back in 2008 and made with a band featuring members of The Horrors, Primal Scream, My Bloody Valentine and Klaxons. From it here is the excellent ‘Clutching Insignificance’. Underworld and Iggy Pop have announced a new joint EP titled Teatime Dub Encounters, out on July 27. The rock legend and techno duo originally met up to collaborate on music intended for the Trainspotting 2 soundtrack, but plans changed and instead we end up with a whole EP of crazy, awesome music from this brilliant pairing. Wonderful opening track from Islands, the recent album from Ash. Just one of the standout tracks from it that rank as some of the band’s best work. The Northern Irish trio will playing some festival dates this summer and will be on tour in the USA and UK later this year. Here is the brand new single from hugely underrated Australian rock trio The Living End. 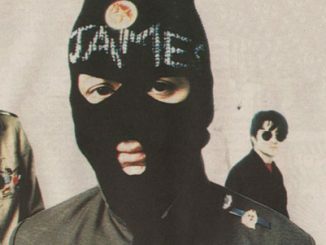 It’s almost criminal that such a fine band should still be so relatively unknown here in the UK. “The Living who?” I hear you ask. A lot of people would probably think they were a new band. They’ve actually been going for 24 years now, and their classic 1998 anthem ‘Prisoner Of Society’ was in fact the highest selling Australian single of the 1990s. 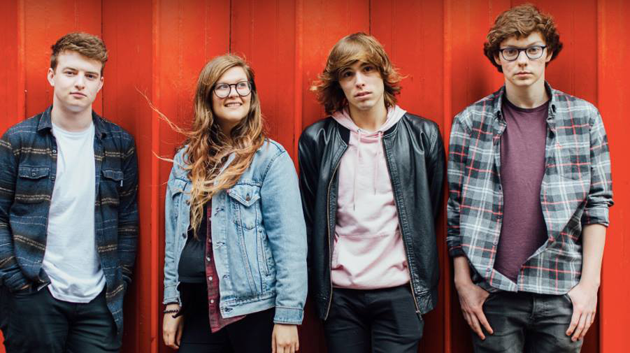 This lot became my favourite new up-and-coming band after just one listen to this terrific new single. Releasing their debut album ‘Columbia’ soon, The Blinders are a Manchester-based outfit who originally formed in Doncaster. They bash out an exciting blend of punk, indie and psychedelica, listing their influences as Dylan, Cohen, Mark E Smith, Lennon, Cave, Kerouac, Rimbaud, Orwell, Ginsberg, and S.Borroughs, as well as “Manson and The Devil”. They will be touring the UK in October and November. While some reckon that Gaz Coombes has “gone a bit Radiohead”, Supergrass drummer Danny Goffey has just released a new album that will please fans of his old band. ‘Schtick!’ kicks off with this bouncy, funky Bowie-like number, where you can also hear echoes of Talking Heads. A fine opening track on a fun, eclectic record that has Goffey’s humour stamped all over it. Elsewhere, Brett Anderson features on the brilliant ‘Ancient Text’, and a song called ‘Cosmic Bob’ is as nuts as its title suggests. It’s usually Morrissey’s work that’s seen in the most favourable light since The Smiths split. 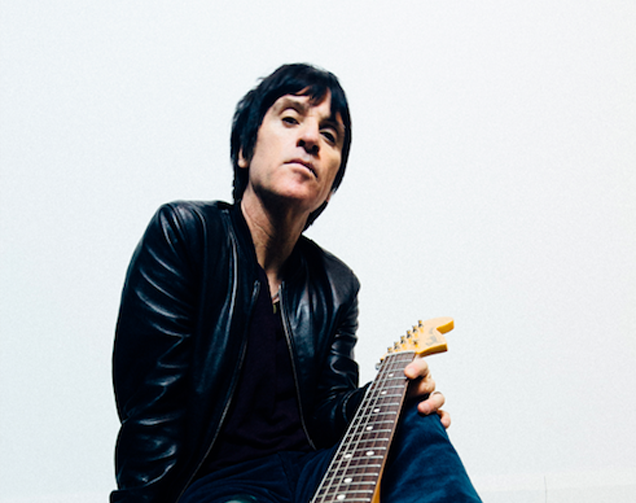 However, Johnny Marr’s third album ‘Call The Comet’ proves to be his most accomplished solo effort yet. And with the backslashes against Morrissey’s somewhat right-wing views getting all the more frequent, its looking like the tables are turning. ‘Call The Comet’ is certainly more consistent than any album that Moz has put out for years. You’ll hear heavy echoes of The Smiths across the excellent ‘Day In Day Out’, further proof that they would’ve been a far less interesting band without Marr’s amazing guitar work. As we move into July (or even if you’re reading this at some point in the future) keep your eyes and ears on XS Noize for updates on the best new music. 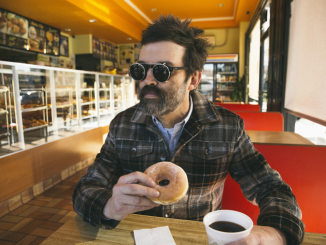 EELS share the official music video for ‘Today Is The Day’- Watch Now!